Reports and news from the FA Cup. It was a brisk 56°F (12°C) in Fort Lauderdale at 11 am Sunday morning. The soft drizzle might have put Kris Kristofferson’s Sunday Morning Coming Down (best covered by Johnny Cash) in mind were it not also 4 pm in Manchester with United taking the pitch in the FA Cup Fourth Round against their former youth team boss Warren Joyce’s Wigan Athletic. South Florida’s take on Mancunian weather was an effect from a northern front dipping into the Deep South to tease the beach bunnies with a bit of Arctic air. The real thing was in play at Old Trafford as the match began. Cloudy skies, intermittent rain, and slightly colder temperatures in the 42° F/6 C° neighborhood. Nevertheless, Joyce strode his technical area clad in knee-length shorts while, surprisingly, Bastian Schweinsteiger–yes, long-exiled Schweini–ran about the pitch in mittens. 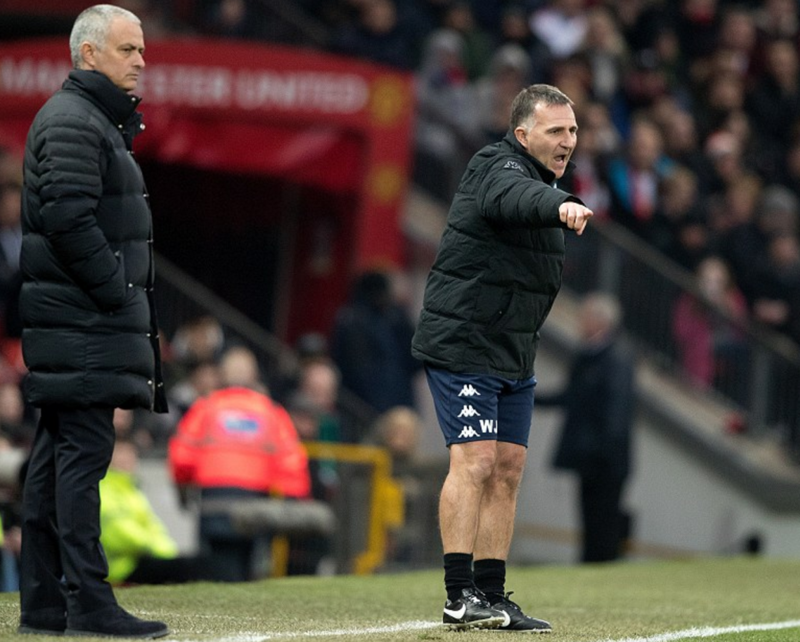 Perhaps Joyce’s odd fashion choice was to show solidarity with his players, to say, “I’m right there with ya, lads!” If so, it worked during the first half hour, when the Latics enjoyed the more positive moments. 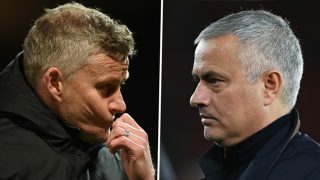 On forty-four minutes, however, United exacted revenge on all the lesser clubs who have tested them this season when they were profligate with opportunities. Against the run of play, a Schweinsteiger cross found Marouane Fellaini. Muscling a noticeably smaller Callum Connolly for inside position, the Belgian Super Fly headed the ball down into the far side netting. It had been United’s first shot on target, whereas the visitors had already forced two saves from Sergio Romero and wrought a handful more half-chances. Wigan also began the second half the brighter side. Romero coughed up a long-range blast from Connolly which bounded out beyond the top of the eighteen-yard box onto David Perkins’ foot. The Argentine goalkeeper managed to scramble back to his feet to kick away Perkins’ follow-up. 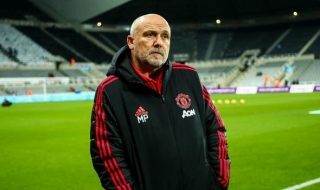 The brush with disaster woke a United side which had been playing a similarly cautious style to their mid-week defeat to Hull. The floodgates opened. Chris Smalling headed in a second goal from an Anthony Martial cross. A still defiant Wigan mounted one last serious sortie, which was disrupted, then cleared through a series of blindingly quick passes that led to Martial breaking down the left flank. Henrikh Mkhitaryan, who had waffled a glorious sitter in the first half, matched the Frenchman’s pace. Streaking into the box, he accepted Martial’s pass, this time making no mistake with his finish. Three-nil. Schweinsteiger finished the scoring with an awkwardly hunched, over-the-shoulder shot from inside the six-yard box. You could call it a tricycle kick, I suppose. All that really matters is it went in. Moments later, the understandably over-enthused German went for a head-over-heels brace only to deliver a glancing blow from his boot to a Latic defender’s face. Thankfully, the contact was nothing to rule out a second career in front of the camera. Still, Basti’s dastardly play did ruin Martial’s excellent half-volley that would have made it 5-0. Neil Swarbrick instead blew the action dead for dangerous play just before the shot bulged the twine. Whatever the final tally, considering United’s form for the greater part of the contest, it flattered to deceive. 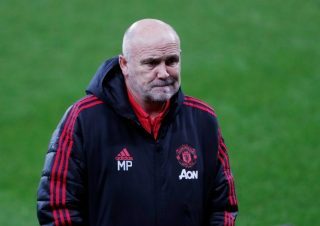 As with the Hull match, which United appeared content to ride out having gone in with a two-goal advantage on aggregate, their tactics against Wigan seemed designed to possess their opponent to sleep with slow passes largely of the lateral and backwards variety. Of course, the weekend match had begun on level terms, making their cautious approach far more risky. 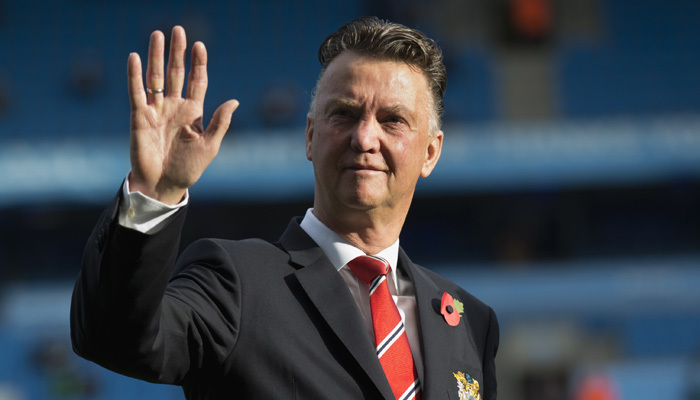 It was almost as though the two matches were some bizarre, unannounced testimonial to former manager Louis van Gaal, either because the pugnacious Dutchman may have changed his mind regarding retirement, or had not. United’s play was just as ambiguous until the second match’s hour mark, when they finally began to assert themselves. Unlike LvG, though, José Mourinho has not strictly defined positional roles within his squad. 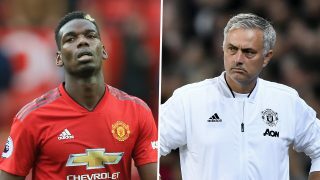 Despite his preseason remarks regarding Wayne Rooney’s role, in which he indicated a preference for specialists over versatile players, Mou has generally allowed his players greater freedom to interchange. We all know Rooney will come back into midfield for the ball. So will Zlatan Ibrahimović. Juan Mata may intercede to support Antonio Valencia in defense, or pop up on the left touch-line to work the attack. Henrikh Mkhitaryan was seen once or twice helping out newly returned Luke Shaw against Wigan, apparently emboldened by his shift at left back late on against Middlesbrough. Marcus Rashford roams at will up and down either flank and in the opponent’s box. Fellaini is a holding mid one moment, a second striker the next. Those players are able to do so, however, because they have used the lion’s share of playing time to familiarize themselves with one another. They know where their teammates will be. Watching matches from across an ocean unfortunately must be done while filtering out insidious commentary. When a faceless voice continually drones on about United not playing like their usual selves, you almost forget they are, in fact, not the usual suspects. Both cup matches this week featured makeshift elevens. Matteo Darmian was the right back, Marcos Rojo the left, midweek. 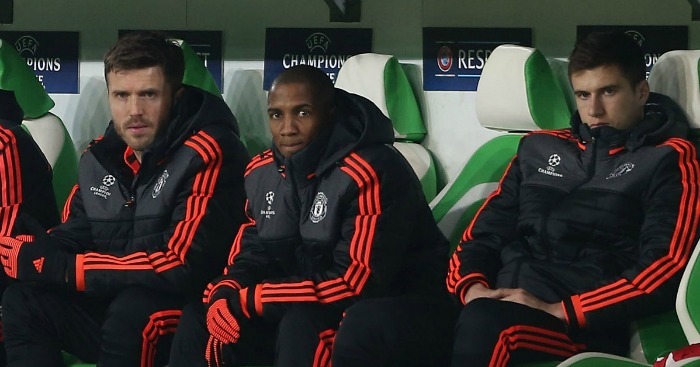 Antonio Valencia sat out. Chris Smalling was back in at center-half. Jesse Lingard and Rashford started in attack. Against Wigan, José was like a knackered publican desperate to go home, ringing nine changes in all. On Thursday, the two-goal cushion may have partially inspired their lackadaisical approach. Sunday was all about a group unused to playing together. Bastian Schweinsteiger wasn’t the only new face but his presence in Michael Carrick’s pivotal role epitomized everyone’s uncertainty. Describing his early passes as wayward would be charitable. Being shelved for nearly a year hasn’t cost the Bayern/die Mannschaft legend his ability to pick out a pass, though. He has been training behind the scenes. 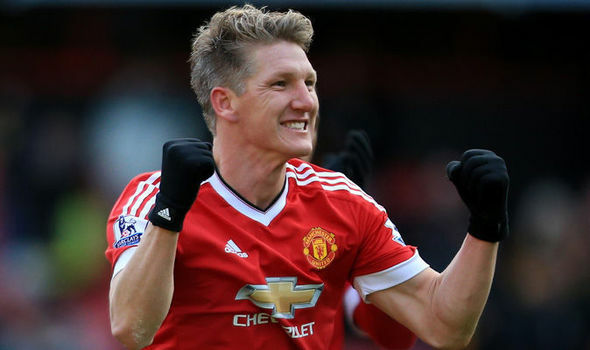 At the match’s outset, Basti simply didn’t know which runs his targets would make. Nor could they anticipate where his deliveries would be sent. One would suspect that, during the interval, once Mourinho finished yelling at his players to get on the same page, they all gathered for a little confab. Yet, Schweini’s service for Fellaini just before the half-time whistle suggested he’d already begun to suss matters out. He only grew to dominate the match as it progressed. If there is one player (other than David de Gea) whose role has been rigidly defined this season, it’s been Carrick. The thirty-five year old’s limited pace has rarely seen him venture forward from a deep-lying central position. Under Van Gaal, he and Schweinsteiger were, at first, interchangeable. Their similarities allowed the duo to share matches without the side missing a beat, each free to expend as much energy as they pleased, knowing the other was available to step in when their tank emptied. Of course, always using one of three substitution for the same position severely reduces your tactical options. Van Gaal eventually settled on Carrick at Schweinsteiger’s expense, with Mourinho following suit. A major factor in LvG’s choice was Carrick’s more disciplined, stay-at-home approach. Basti is more aggressive, as his play against Wigan reminded. He won’t just unlock defenders with sublime passing. He will test them with marauding runs. He’ll show up in the six-yard box to perform back somersaults. And he always smiles. He’s fun. Which is something I have to admit this entire side is becoming under the still dour-faced Portuguese. It’s said a club takes on its manager’s demeanor. If that’s true, then Mourinho is hiding his true nature from the rest of the world. I sincerely hope that’s the case. Don’t get me wrong. I’m not suggesting Mou should kick Carrick to the curb based on one performance against a second-tier side. 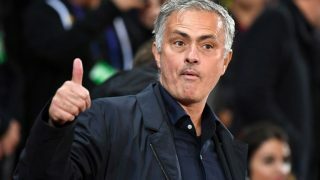 Although, I do remember Schweini also making an impact when brought on by Rui Faria in added time against West Ham when not-so-laid-back Mourinho was in the FA’s doghouse. I’m just saying the gaffer should be spelling Carrick more frequently. With the German back in the picture, he’s not as indispensable as he’s been made out. Nor can it be denied his performance has tailed off lately, possibly from overuse. Of course, I could be wrong about Schweinsteiger’s significance on the Wigan outcome. On Sunday, Fellaini started, then was subbed off for Ander Herrera with the match well in hand. Isn’t it typically the other way around? Herrera from the off, the swarthy flamingo who’s tight with Beyoncé’s stylist coming on late with results still very much in doubt? Nah. Couldn’t be. That would be as crazy as United struggling to remain in the Premier League title chase through the season’s first half, only to see nine new faces make everything look as easy as beating Hillary Clinton in an election. God, I love this game.